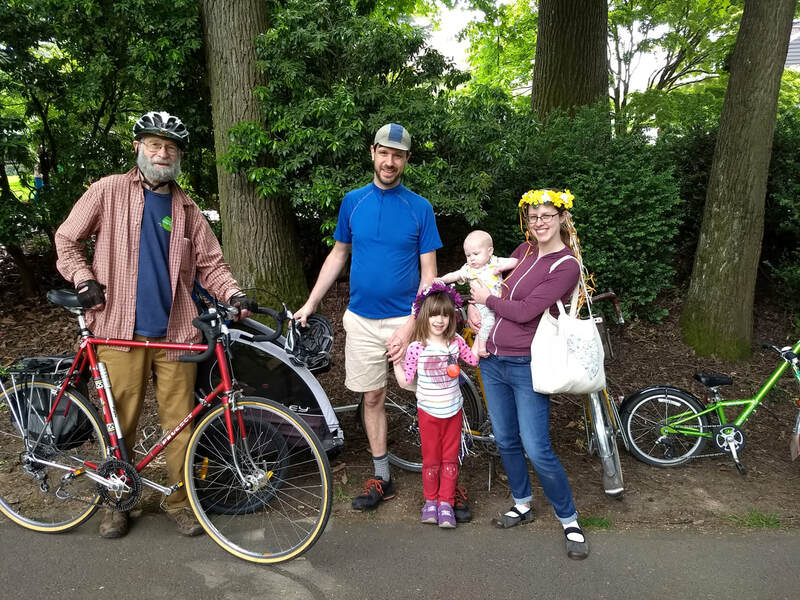 ​The Bike More Challenge is a fun, free competition for Portland organizations to encourage employees, volunteers, friends, and neighbors to bike more during the month of May. This year, SCA is registering as a club under the name “Sabin Neighbors.” We want everyone to join us, from Sabin’s committed biking aficionados to the “I haven’t been riding in years” folks! Because we're a club, even those already riding for their employer’s team can also ride with Sabin Neighbors. Registration starts April 3 here: https://www.lovetoride.net/oregon/groups/879?group_invite=true. Once you've registered, then encourage others to join too — extra points for that! — and begin logging the miles you bike starting May 1. ​Win prizes and bragging rights. Although only the miles logged for May 2019 count in the challenge, you can start logging miles as soon as you sign up and continue after the challenge is over. Team members from last year have been logging rides for a year, and seeing the miles, number of trips, pounds of CO2 kept out of the atmosphere, etc. add up. It's satisfying and provides a little extra incentive to get out on the bike. Enjoy the rides. And best of all, help get more bikes out there keeping our streets and community safe!